I can't believe that it's the May half-term already - the last few weeks have gone so quickly! It's been such a sunny few weeks, the children have been down the beach with school and having lessons outside and it really does feel like the last few weeks of the school year are approaching quickly. Last year I got away without buying much school uniform as they still had plenty that fitted. This year Mia moves into Year 3 which means that she needs a skirt instead of a tunic, and they both have many items of uniform that are looking a little short and scruffy. The second hand sale takes place in the last week of term so I'll get what I can there, the easy bits can be bought in the supermarket and the school specific things need to be bought in the uniform shop. I'm determined to get it all done as early on as I can so that everything is still in stock, apart from new shoes which we always leave until the last minute. I'll also need to see if any other bits and pieces need replacing, like lunch boxes, bags and water bottles, and make sure that it's all packed away neatly ready for September. The house always goes to chaos during the holidays. There are unfinished Lego and craft projects all over the place, along with games in progress that can't possibly be tidied away. Although I do get the children to help me with the cleaning, it always takes longer than just getting on with it by myself. I'll try and start the holidays with at least a tidy toy cupboard and bedrooms, and also take the opportunity at some point to go through each child's bedroom and have a good sort out. We have a garage sale planned for the middle of July so I'm hoping to gather some bits and pieces together that they can sell. Also at some point over the holidays I want to give the garage a proper clean by taking everything out and getting a broom into all the spidery corners. Last summer holidays I was completely wrapped up in sorting out all the photographs on my blog after Photobucket ruined it. I spent hours every evening working on it and it really cut into the time I had spare for creating and scheduling new content. It's difficult to get much done when the children are around, as even when they do leave me alone for a little bit I find it difficult to really focus knowing that I can be interrupted at any point. Also hopefully we'll be out and about and doing things together which I don't want to miss. During the evening though they will often watch a film with Ram so that gives me an hour or two to write a post or catch up with some social media bits. 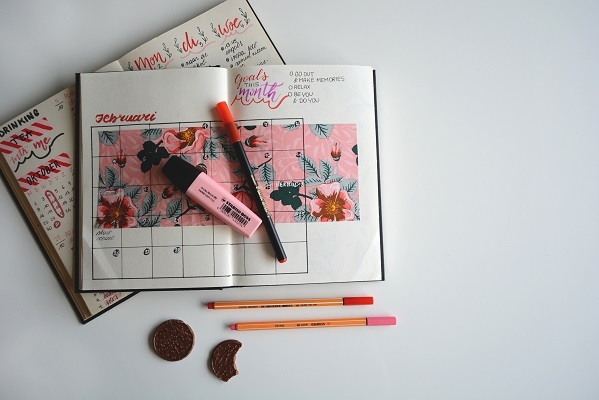 Even so, before the holidays start I'll be aiming to write enough blog posts in advance that I've got one or more scheduled each week (that means at least 8 - eek!) and sort out scheduling for Twitter and Pinterest at least. Hopefully we'll do lots of fun things together that will give me blogging inspiration as we go along! Luckily I like a good to do list and mine is certainly building! Do you have things that you need to get done before your children break up for the summer? It really doesn't seem long until the summer holidays. I'm hoping to get all the uniform bought (my youngest is going to secondary school so I have lots to buy)...I'm hoping to get both my girls birthday pressies bought and that's about it. Phew!